Tony Anselmo and Donald Duck – Learn how Disney Legend Tony Anselmo went from being a Disney animator to voicing the most famous duck in the world. 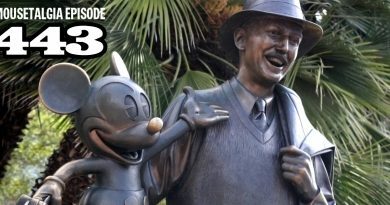 Speaking at the Walt Disney Family Museum, Anselmo shared the secrets of voicing Donald, the psychology behind the duck, and stories from Clarence Nash… and Mousetalgia reports! Also, a discussion about the awkwardness of fandom, listener email – and more!